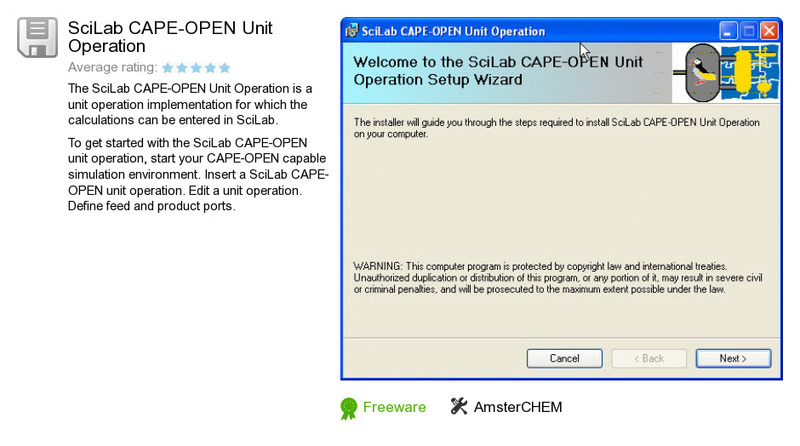 SciLab CAPE-OPEN Unit Operation is a software product developed by AmsterCHEM. We know of versions 2.0, 1.0. Version 2.0.0.2 is downloadable at our site. SciLab CAPE-OPEN Unit Operation package has a size of 1,550,306 bytes. AmsterCHEM also publishes SciLab CAPE-OPEN Thermo Import and MatLab CAPE-OPEN Thermo Import.